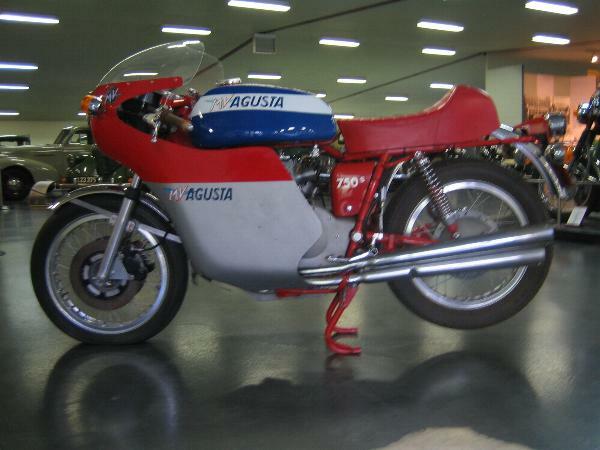 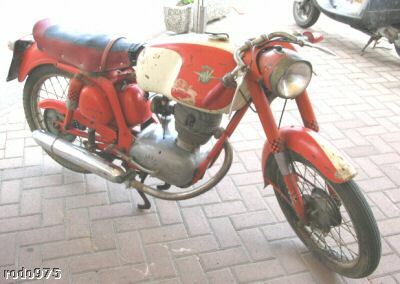 Started out as an offshoot of the Agusta aviation company, brothers Count Vincenzo Agusta and Domenico formed MV Agusta (Meccanica Verghera) at the end of the Second World War as a means to save the jobs of employees of their late fathers firm. 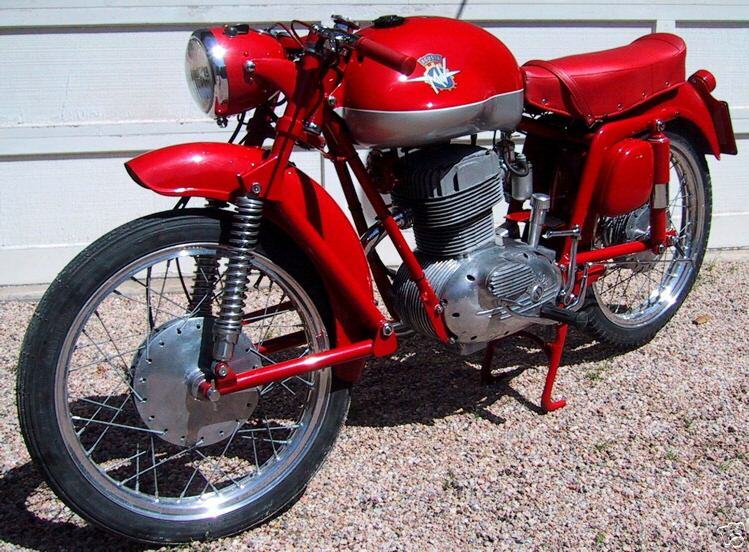 1954 MV Agusta Disco Volante "Earles"
1956 MV Agusta 175cc OHC Motor. 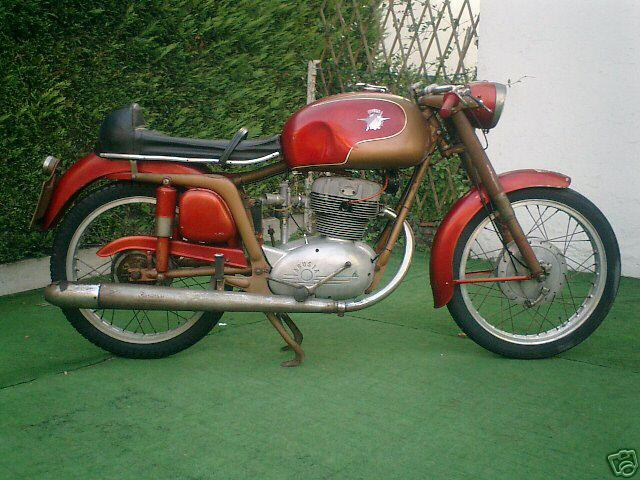 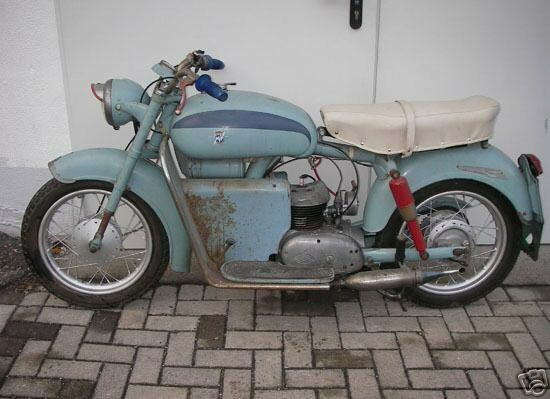 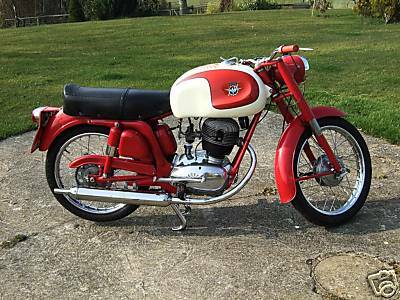 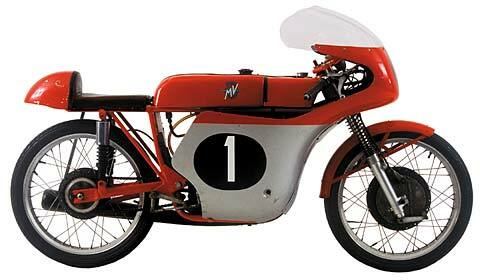 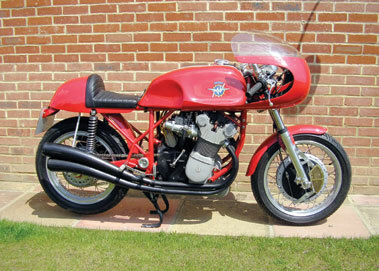 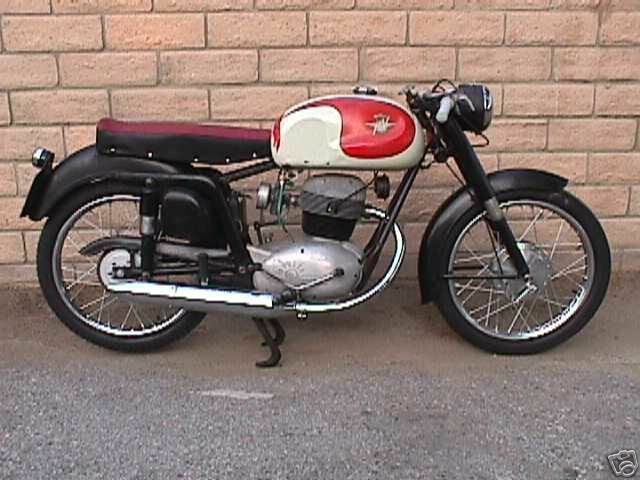 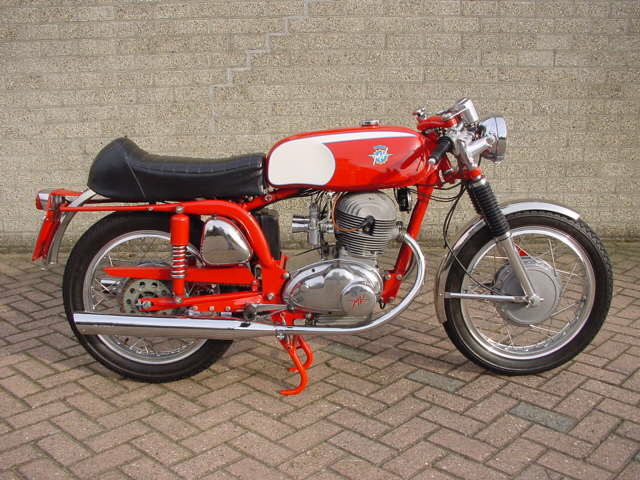 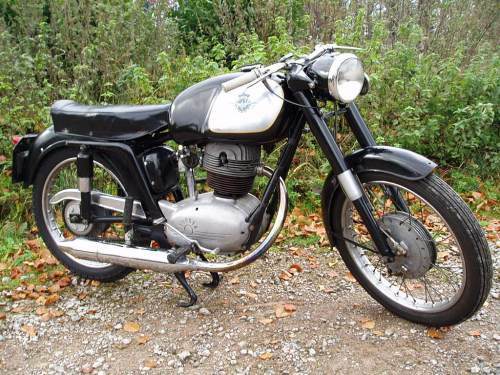 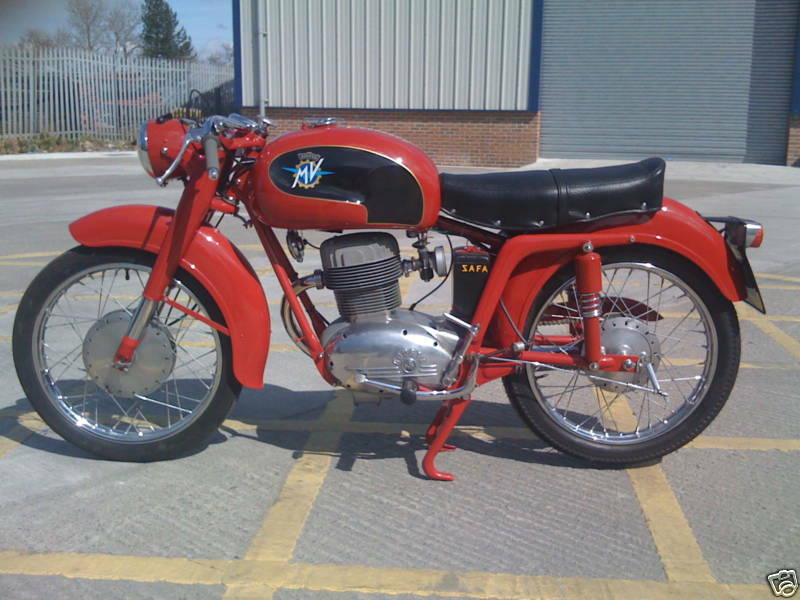 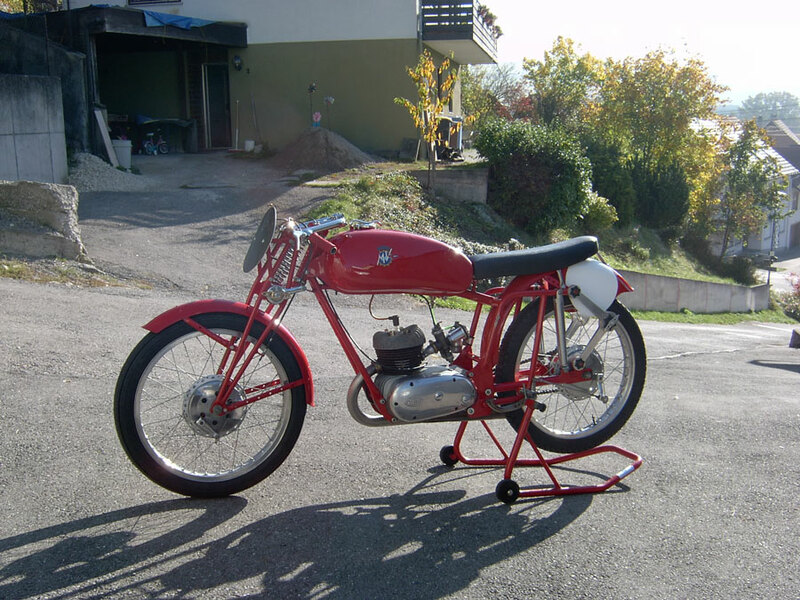 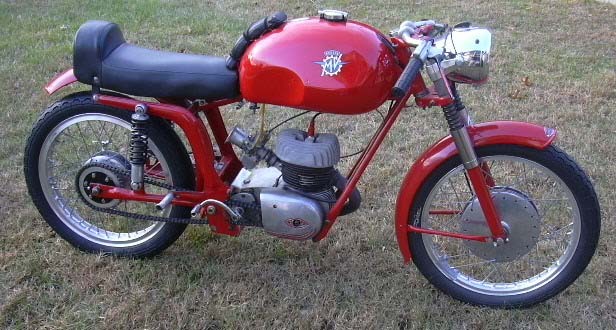 1957 MV Agusta CSTL 175cc. 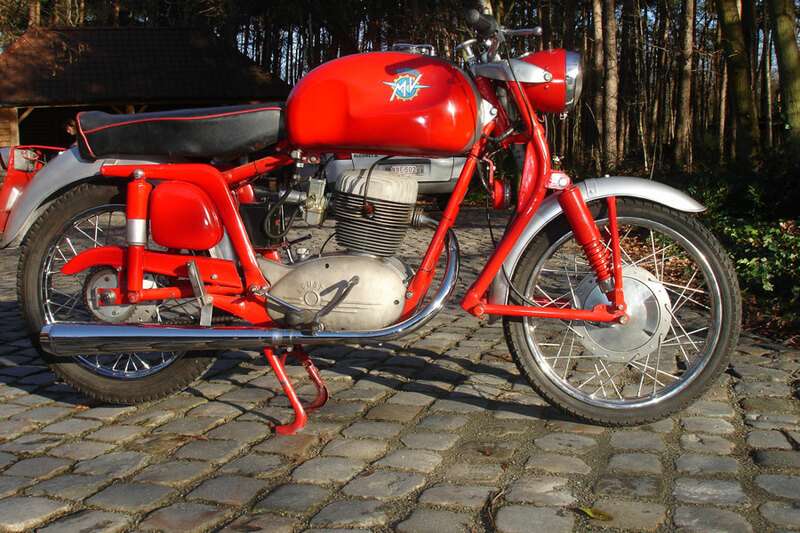 CSTL is the Luxury Touring model with OHC. 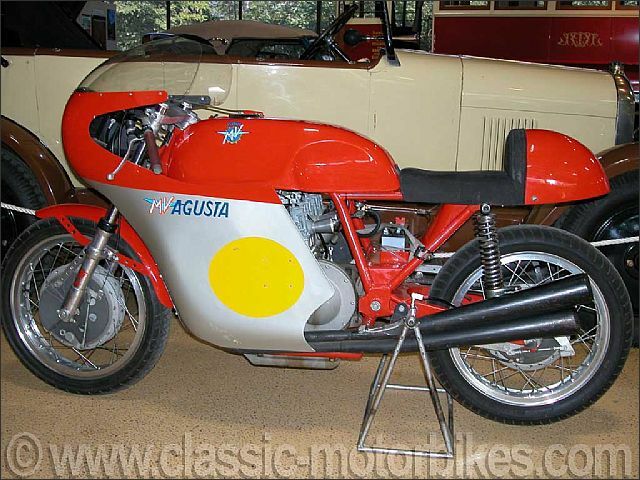 1969 MV Agusta 250B This classic MV Agusta 250 bicilindrica (B) followed the twin ARNO 166, and was followed itself by the 350 bicilindrica. 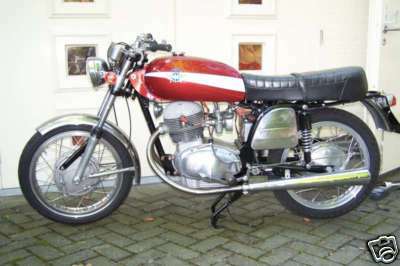 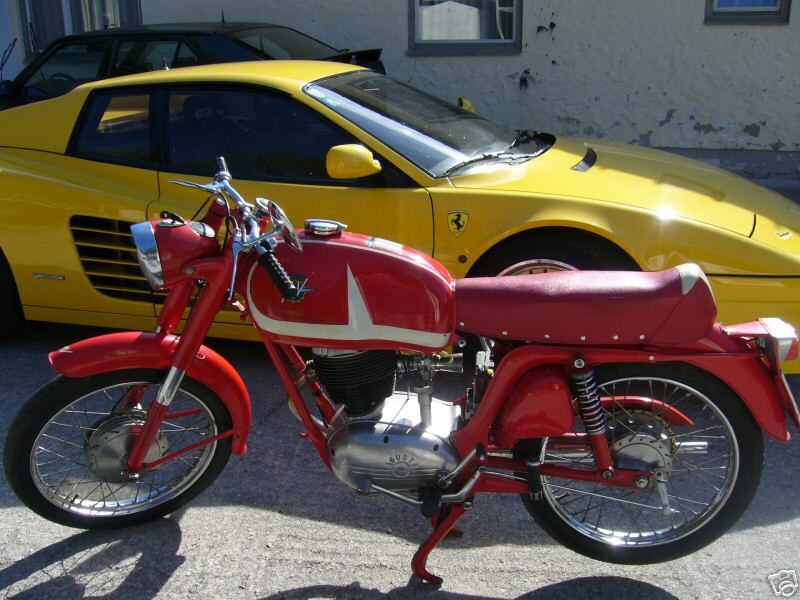 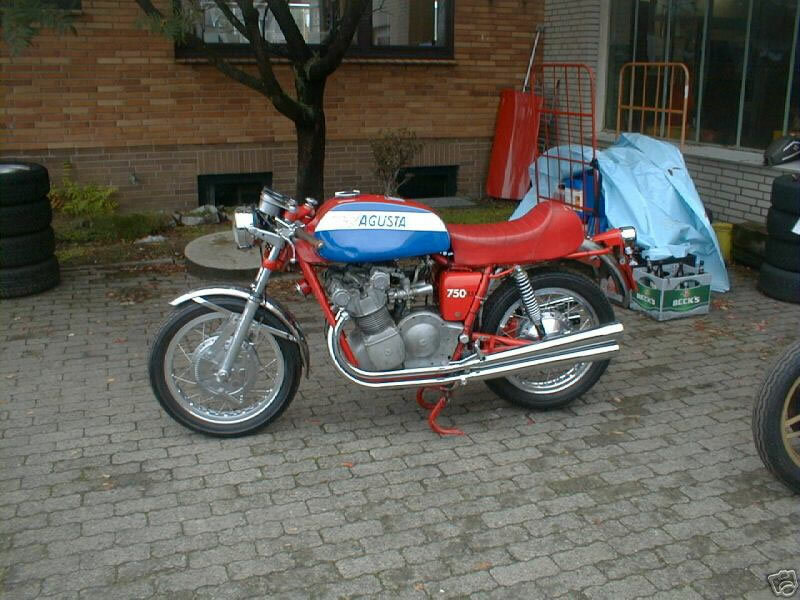 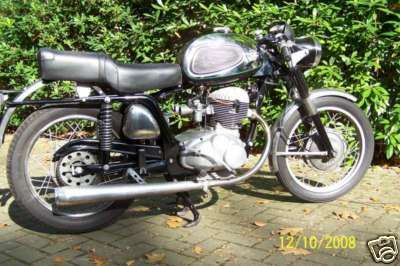 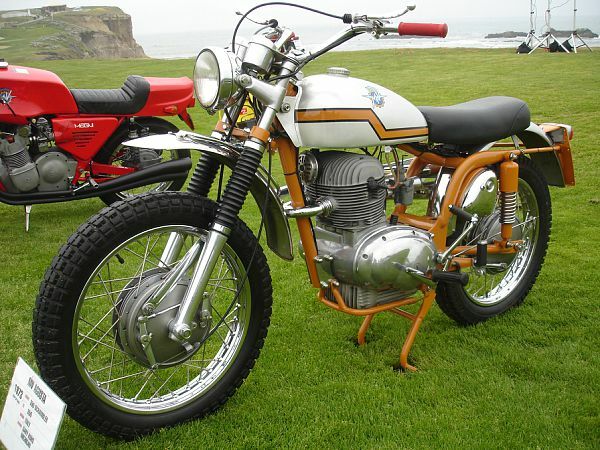 This bike is the sports model, there was also a 250 GT model. 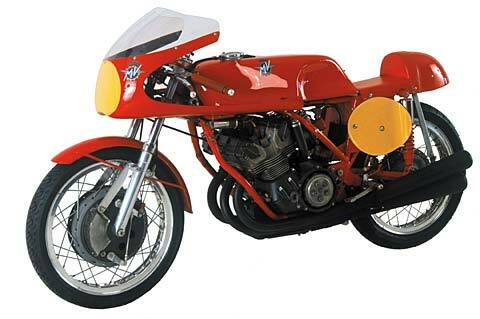 OKE385F was conceived by the well know classic motorcycle dealer Phil Cotton in the days when he was running his own museum, as a truly exceptional exhibit. 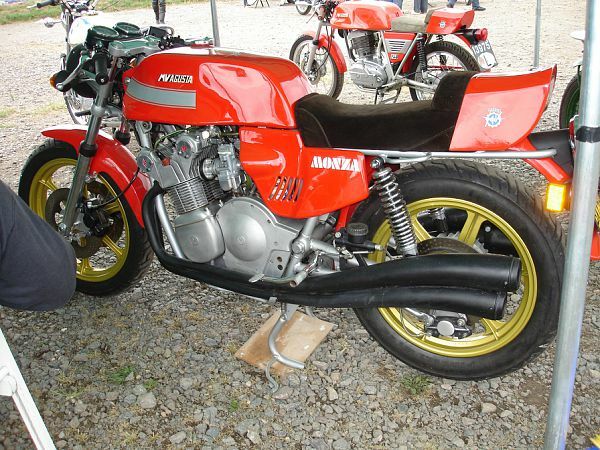 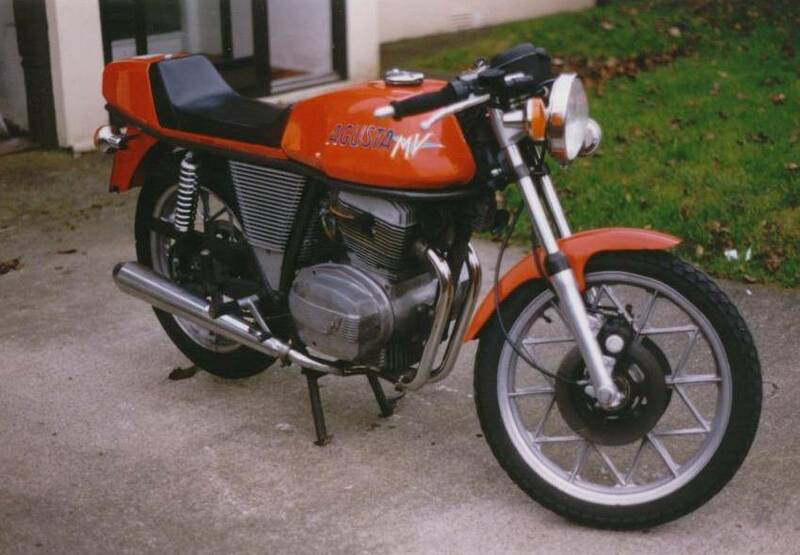 One of the project criteria was that the machine should have magneto ignition and that it should have authentic 'race type' chain rear drive rather than the shaft drive fitted to the original roadgoing bike which involved necessary crankcase redesign. 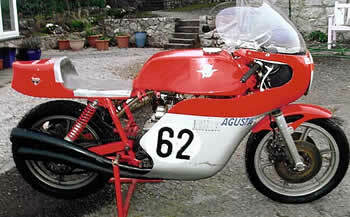 It was around this time that Dave Kay was constructing the well-publicised 'Ferrari' bike and it was decided to use the aluminium sump casting from Ferrari project on the Cotton bike, this in turn led to frame redesign, and a lightweight frame was constructed to accommodate the new sump, and so the project duly progressed to completion using authentic replica cycle parts including a traditional aluminium fairing. 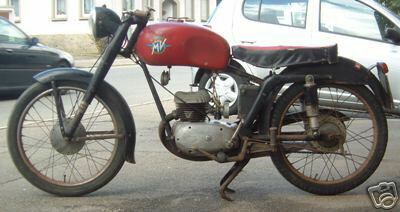 Following successful development and testing the bike passed to a Northern collector who had little use of the machine before his untimely death. 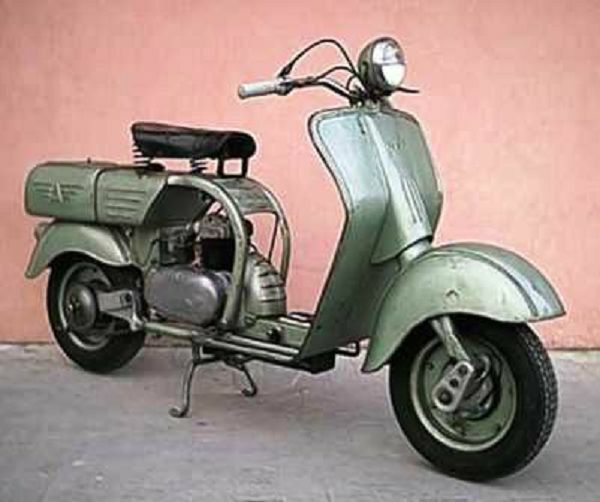 It returned to Phil who then passed it on to the vendor. 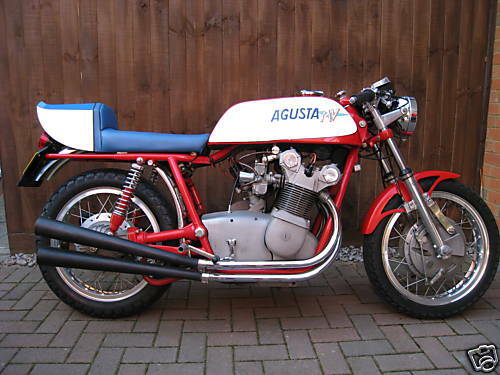 1973 MV Agusta 350 GT This is a very nice example of the 1970's era with MV Agusta's gaining much interest with their beautifull twins. 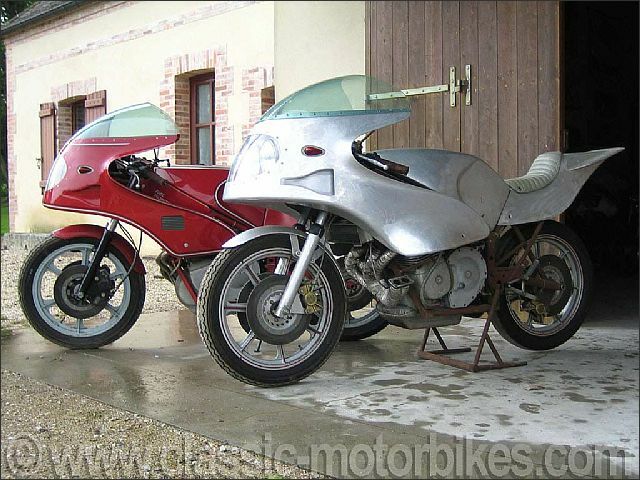 Styled by Giorgio Giugiaro utilizing strong horizontal lines it entered production in 1975 establishing itself quickly as a desirable machine. 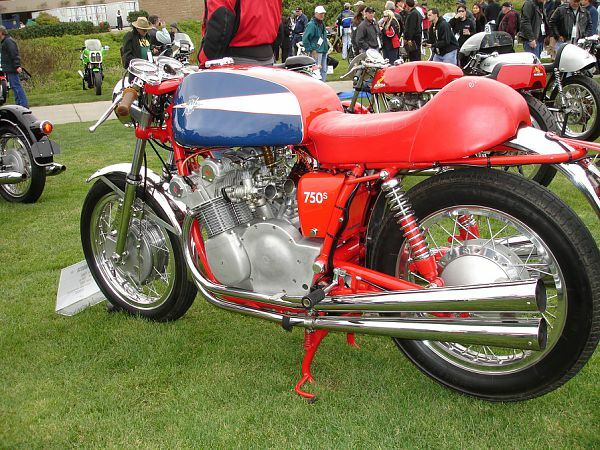 The open duplex frame housed a twin cylinder engine that had undergone a thorough redesign externally but retained the proven internals of the preceding model. 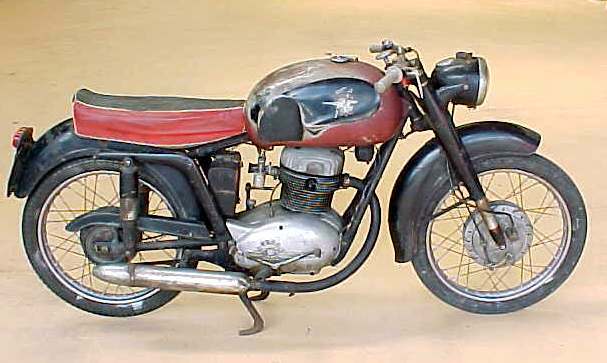 A triple disc braking system was an unusual feature for a machine in the Ipotesi's class. 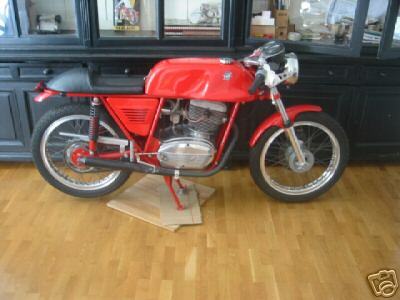 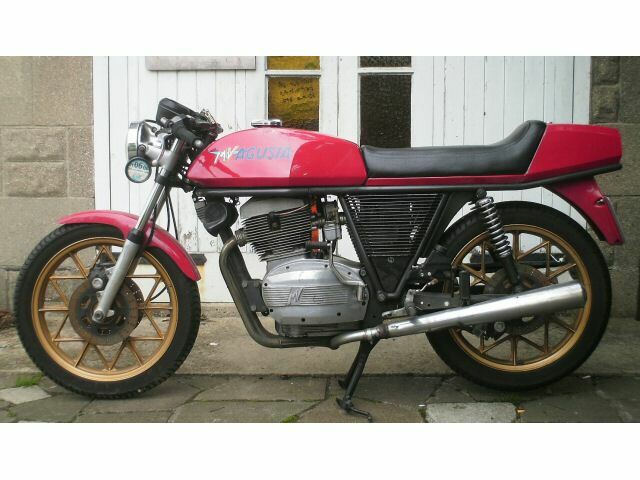 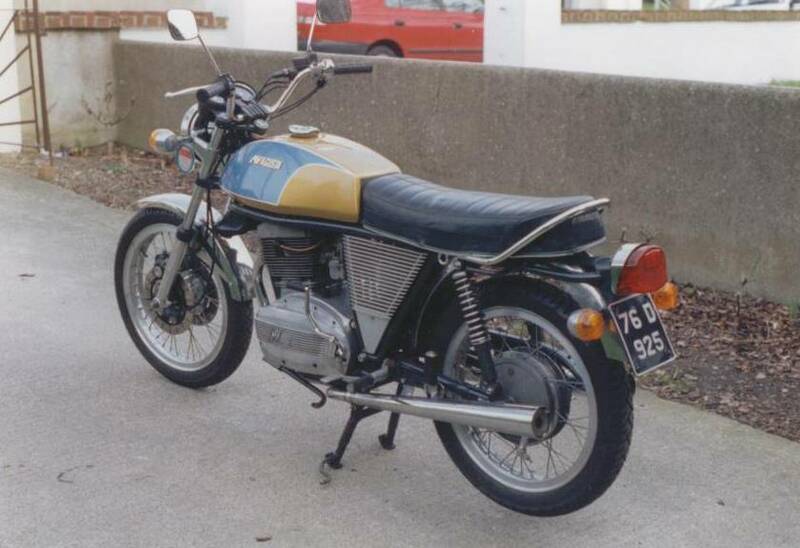 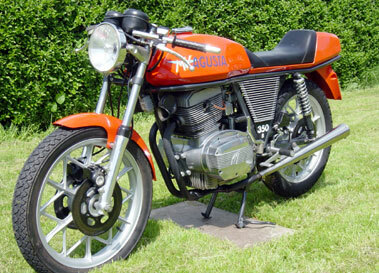 1975 MV Agusta 750 Sport Classic MV Agusta four-cylinder 750 Sport, 1975, UK registered, imported from Italy in 1994. 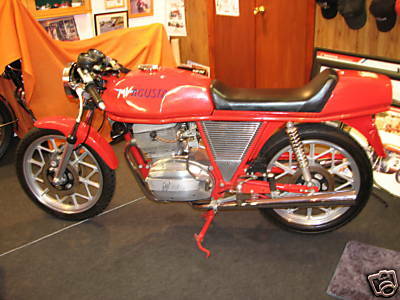 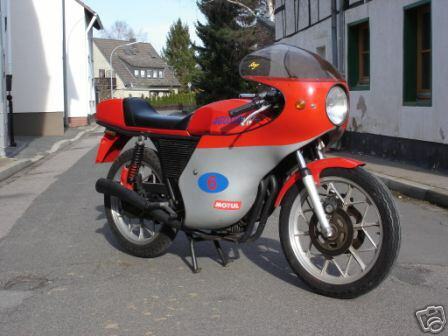 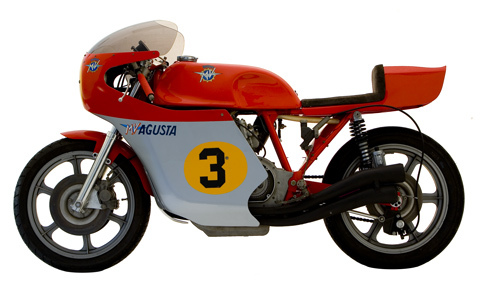 1978 MV Agusta 850 Magni Racing bike developed by former MV Racing director Arturo Magni until after the shutdown of the factory, uses several specific elements (frame, transmission kit) but was never officialised by the company, very rarely run.